I hate to say it, but I do love a good look around a car park at any car event that I go to, you can always find some very interesting road cars parked up. 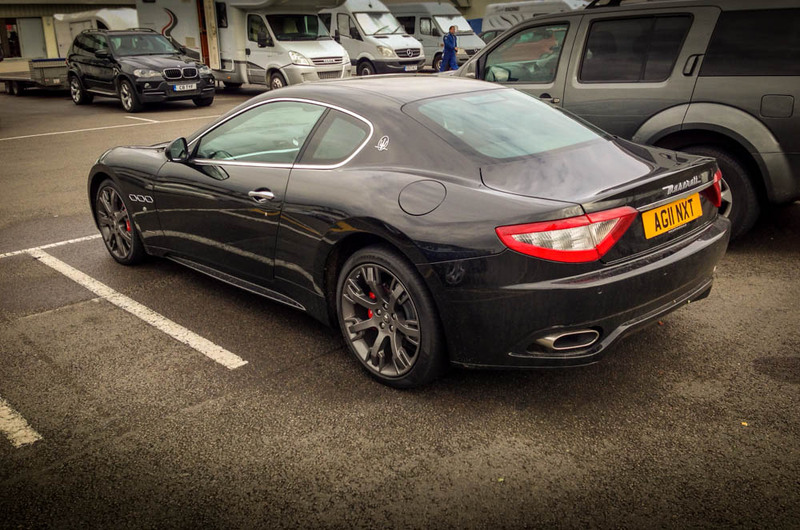 On this occasion we have the Maserati Granturismo. My god is it gorgeous! Hopefully the 3 pictures I have are enough to appreciate the beauty of this car. So what can I tell you about the Granturismo? It has a 4.2-litre, 405bhp v8, a sporty six-speed automatic transmission. Using the paddle-shift automatic, this car can reach 60 mph in 5.1 seconds; where the Granturismo S coupe takes 4.5 seconds. Top speeds are 177 mph and 183 mph, respectively. Handling is supposed to be nimble, thanks to quick steering. There was an optional Skyhook air suspension option that allows drivers to choose Sport mode for even more direct ride and throttle. 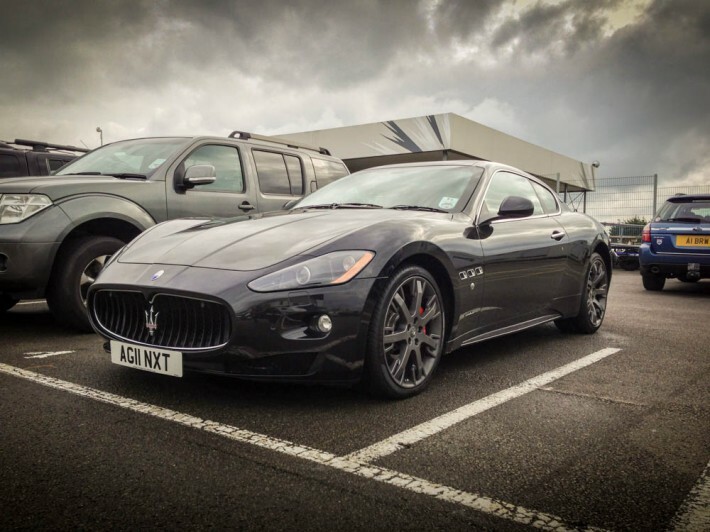 The GranTurismo has not been crash-tested, but its safety gear is impressive. It includes dual front, side and curtain airbags. Anti-lock brakes and stability control are standard. Maserati allows owners to custom-order their cars, and offers a wide array of upholstery, wood and colour combinations. 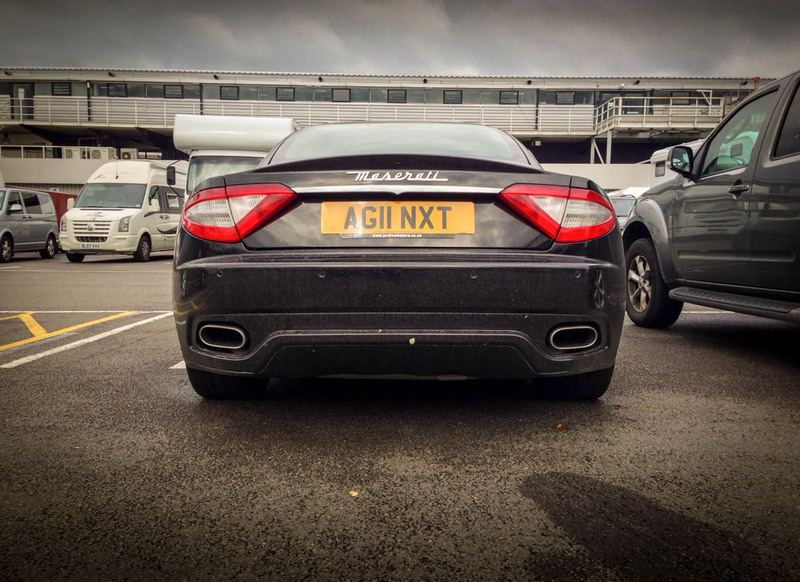 This year, the GranTurismo also can be ordered with a series of performance parts to amp up its semi-exotic credentials. Those add-ons range from carbon-fiber exhaust pipes and side skirts, to matte-red brake callipers.